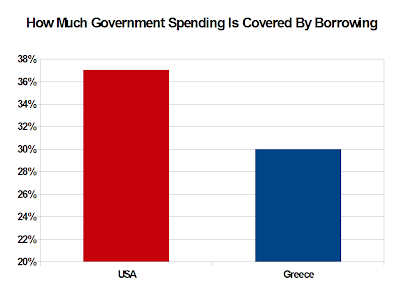 Why have you not heard about the U.S. fiscal crisis the way you have heard about Greece? We have a magic tool called a printing press to purchase our debt, and they do not. In other news, gold exploded up to an all time record high this afternoon while silver is closing in on $40.